It is the hottest month of the year and our garden is flourishing. 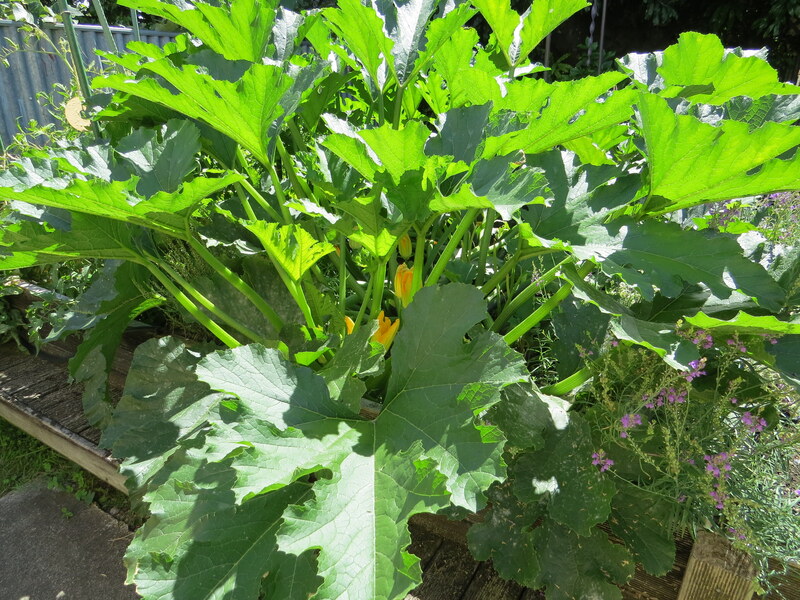 We have a glut of zucchinis at the moment. 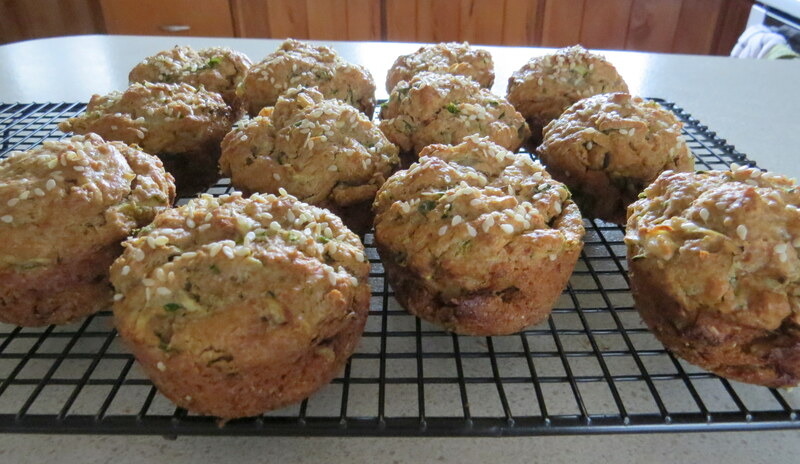 I have been making zucchini loaves and bakes, using them in stir-fries and salads, and making muffins. These muffins are good for putting in the freezer and taking out one or two at a time for lunches. Whisk the egg and milk together, then stir in the oil. Add the flour, baking powder and salt, and stir to combine. 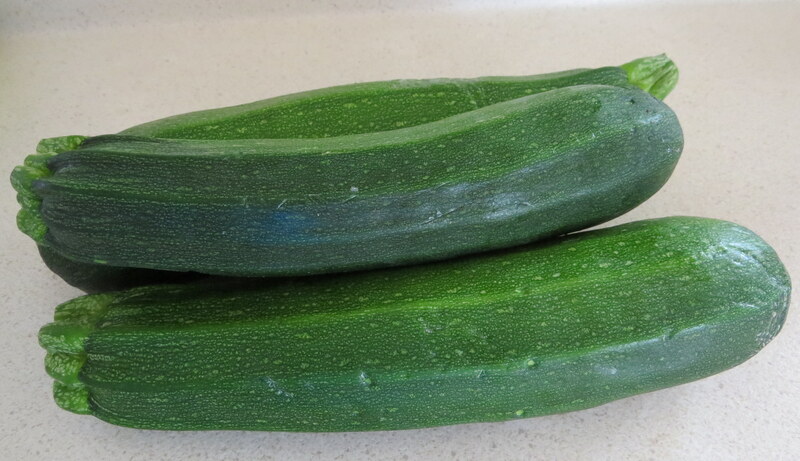 Grate the zucchini, squeeze out excess moisture, and add to the mixture. Add the cheese, onion, and herbs and mix to combine. Spoon into lightly oiled, 12-hole muffin tin. Sprinkle the tops with sesame seeds. Bake for 35-40 minutes, covering tops after 30 minutes if they start to burn. 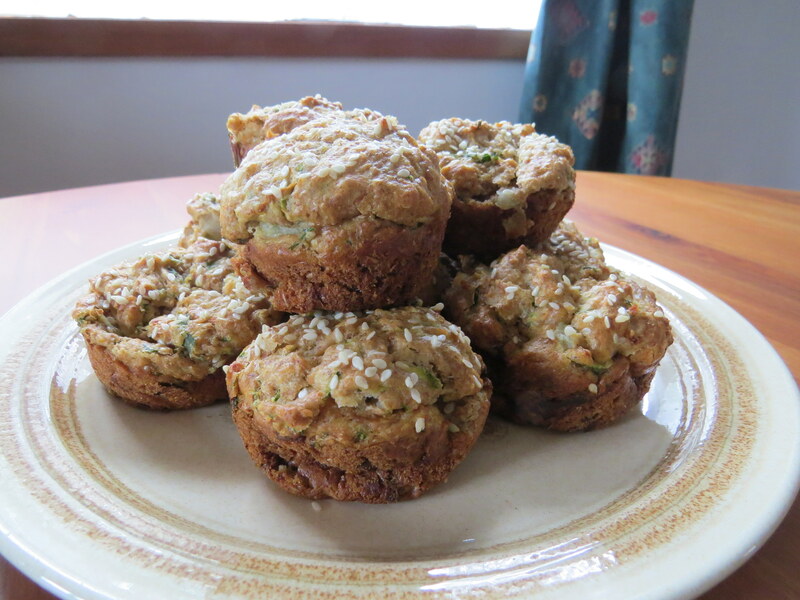 This entry was posted in My Blog, Recipes and tagged cooking, food, muffins, recipes, zucchini muffins, zucchinis. Bookmark the permalink.